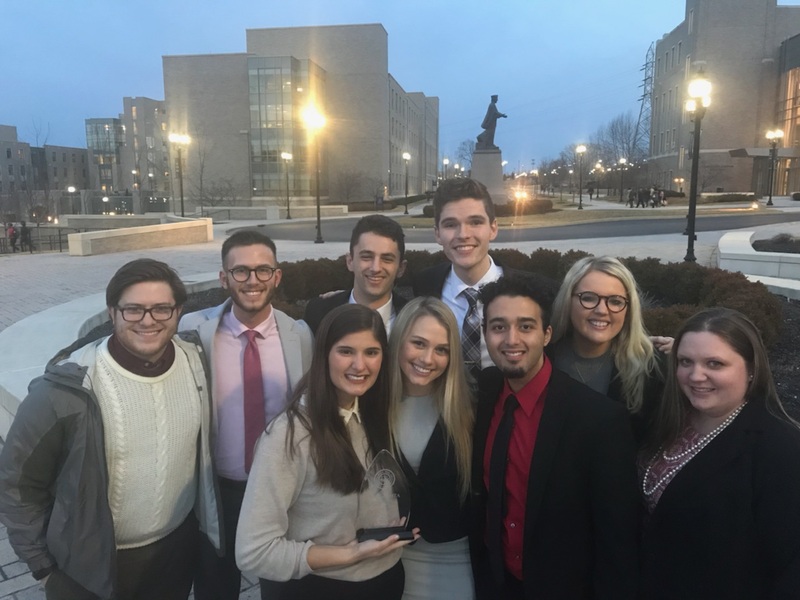 The undergraduate Mock Trial team is coached by Belmont second year law student Margaret Conner and is a student-led, interdisciplinary team whose members hail from three colleges. Representatives include Jack C. Massey College of Business students Chloe Bidne (social entrepreneurship) and Andrew Doubek (entrepreneurship); Curb College of Entertainment and Music Business students Matt Nino (music business), Karl Kleppe (music business), Sarah Lancaster (motion pictures) and College of Liberal Arts and Social Sciences students Kevin Botros (philosophy and political science double major), Meghan Hickok (political science) and Hunter Lindsey (politics and public law). AMTA serves as the governing body for intercollegiate mock trial competition. Through engaging in trial simulations in competition with teams from other institutions, students develop critical thinking and public speaking skills, as well as a knowledge of legal practices and procedures. AMTA sponsors regional and national-level competitions, as well as providing interesting and complex case materials for academic use. Belmont’s team is partially sponsored by Interdisciplinary Studies and Global Education.